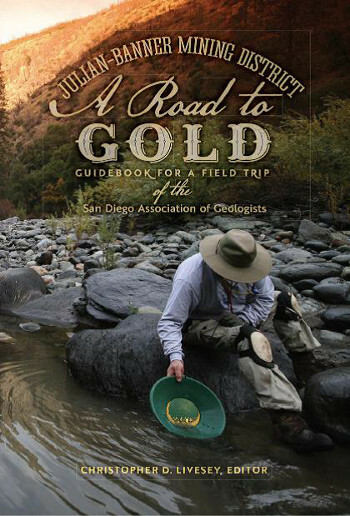 The "Julian-Banner Mining District: A Road to Gold", provides a written history of the San Diego Association of Geologists 2017 field trip, supplemented with professional quality papers that enhance the guidebook and understanding of the area, as it relates to geology and mining. 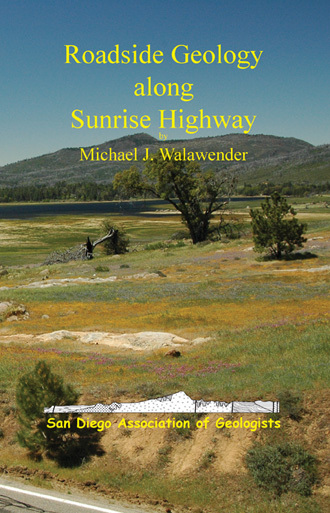 The book highlights points of interest (including hiking trails with commentary) along California State Route (Highway) 78 from Ramona to Julian, California. 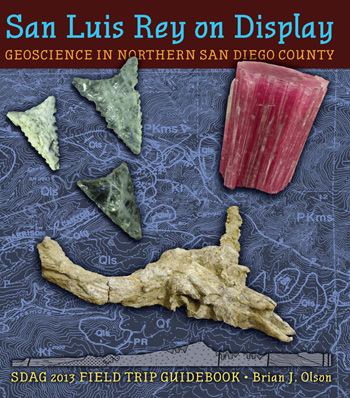 San Diego Association of Geologists returns to Baja California with legendary field geologist John Minch. 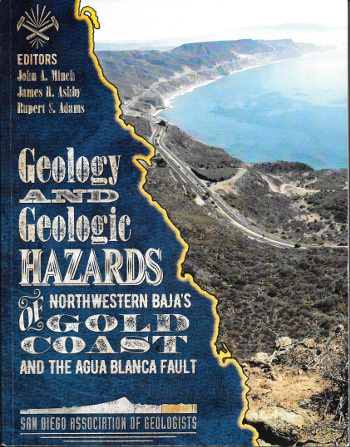 San Diego Association of Geologists returns to Baja California with legendary field geologist John Minch. We reexamine geologic hazards including ancient and modern landslides, activity on the Agua Blanca fault, and shoreline erosion. Baja's rapid population growth puts coastal development issues front and center. Three field trip logs are supplemented with new papers and noteworthy historical papers. 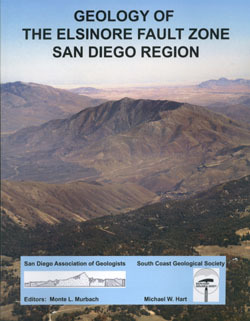 Geology of the Coyote Mountains. 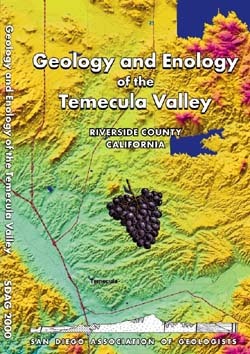 Anyone interested in the rich and complex geology of the Coyote Mountains will find this book useful for interpreting the Paleozoic metamorphic rocks of a rifted continental margin, Mesozoic igneous rocks from a magmatic arc, and Cenozoic continental red beds and volcanic rocks overlain by marine, riverine, and lake sequences. All these capped by fanglomerates and cut by faults. No other location in the region showcases such diverse rock types and so much geologic time in such a small area. As USGS geologist Walter Mendenhall said in 1910, the Coyote Mountains' "exposures and structures are so clear that its geology will be an open book to the fortunate student to whom falls the pleasant task of deciphering it in detail." Coast to Cactus Regional Tectonics. The self-guiding road log and geologic maps provide insight into the geology, paleontology, and archeology in the heart of this 55 mile-long watershed. It travels east from Interstate 15 along California Highway 76 to Lake Henshaw with a loop through the mile-high Palomar Mountain region. A self-guided driving tour of coastal San Diego County. Start at Guajome County Park. Explore coastline from San Onofre to La Jolla. Hike to volcanic Cerro de la Calavera, Carlsbad. Technical papers range from a Plio-Pleistocene asteroid impact, landslides, and spelunking, to archeology at Mission San Luis Rey. Road logs cover over 200 miles with 17 papers plus maps, photos, and diagrams. 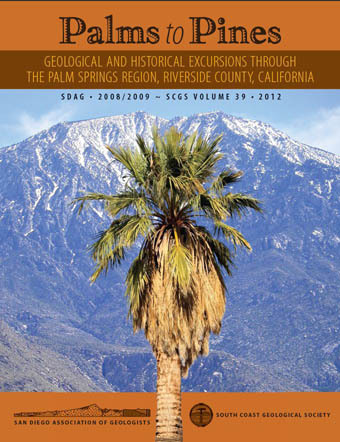 Topics range from Coachella Valley groundwater to the structure of exposed shallow to mid-crustal crystalline rocks of the mtns; a geologist's view of the Palm Springs Aerial Tramway, Pines to Palms Hwy, Indian Canyon, San Gorgonio Pass, and the San Andreas Fault. The subtitle says it all about the harsh beauty and history of this little-known but intriguing southeast corner of the vast California desert. Its red and purple volcanic and granitic landscapes range from Picacho State Park on "Old Red" (the Colorado River) west to the Algodones sand dunes, one of the largest sand dune complexes in North America. A drive of less than three easy hours on I-8 from San Diego brings the explorer to the ancient portals of the southeastern Chocolate Mountains and the Cargo Muchacho Mountains, guarded by the Quechan People for thousands of years and now accessible via graded dirt roads, 4WD trails, and just enough asphalt to appeal to less adventurous souls. 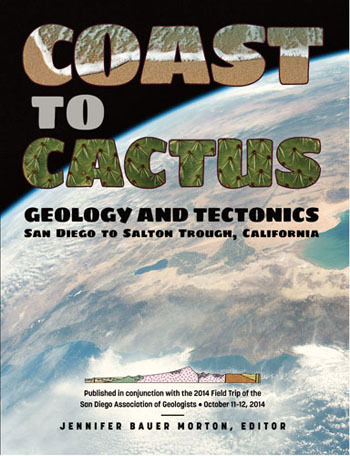 This self-guided tour, a favorite for beginning geology students to emeritus professors like the author, starts just 47 miles from San Diego. 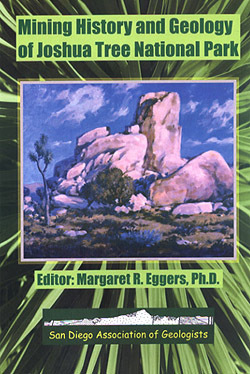 It clearly explains the mountain-building geology of the region with abundant photos, maps, and illustrations and offers sweeping vistas into the largest below-sea-level depression in the Western Hemisphere. 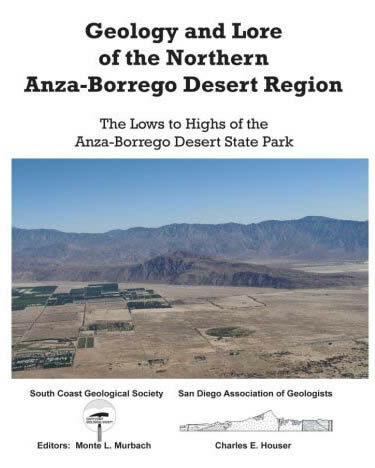 "The Lows to Highs of Anza-Borrego Desert State Park" field trip produced studies of the geology, mines, groundwater, geologic structure, faulting, and paleontology-inspired "Sky Art" metal scuptures of Borrego Valley. Vistas from Fonts Point and the Salton Sea Overlook range from deep basin "lows" up Banner Grade to the "highs" of mile-high mountains. 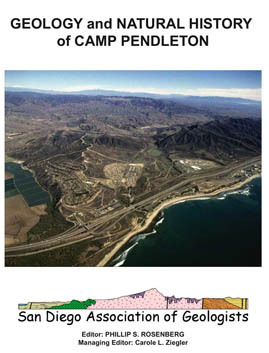 The trip loops south from San Onofre State Beach to explore geology of the USMC Base including surrounding beaches and coastal plain. Technical papers and a full-color fold-out geologic map along the I-5 corridor describes natural and historic features of the northern coast including updated archeology, water resources, earthquake faults, and ornithology. From the huge La Posta pluton, this guide travels old Hwy 80, paralleling much of the route of the SD&AE Railway, "The Impossible Railroad". At Desert Tower, routes drop precipitously into the Yuha Desert, mysteriously described as "This is the desert; there is nothing out here; nothing". Canyon Sin Nombre and the Volcanic Hills beckon "where the road ends". 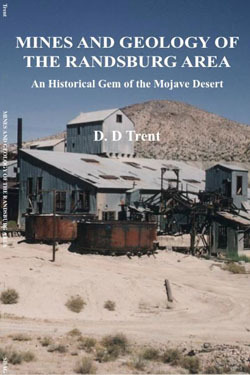 Named for the fabulously wealthy mining district in South Africa, Randsburg takes its place in the storied history of major Old West mining booms in this volume, rich with historic maps and photos. 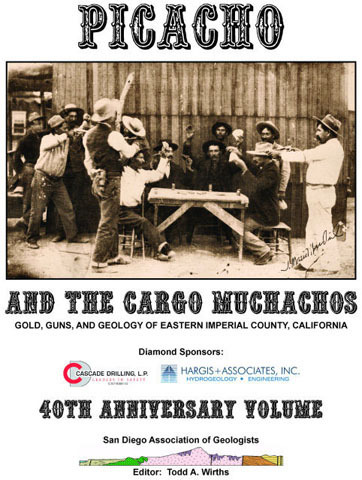 The area, 50 miles northeast of Mojave, experienced 5 mining booms from 1893 into the 21st c with riches from the earth including gold, silver, and tungsten. JTNP, one of the Big Four of California's world-class desert preserves, protects over 1000 square miles of wilderness in three major ecosystems: the high Mojave Desert, the low Colorado Desert, and the pinyon/juniper uplands of the Little San Bernardinos. 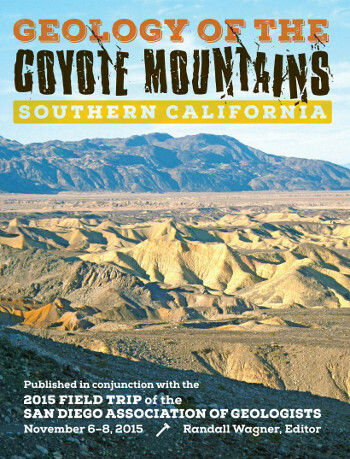 This book includes the park-interpreted "18-mile Geology Tour" and other self-guided routes. 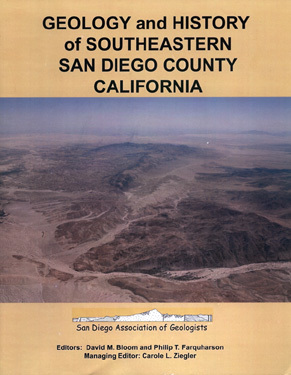 "Hot Springs & Tourmalines of Eastern San Diego County" starts in gemstone country near Warner Springs, plunges down Banner Grade into Earthquake Valley to Aqua Caliente Hot Springs and continues along the Elsinore Fault via Hwy S2. A return via I-8 leads into McCain Valley's dramatic overlook of Carrizo Gorge from the Pack Rat gem mine. 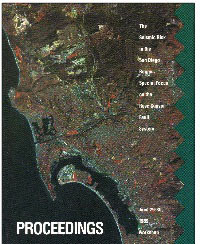 Explores the coastal plain from San Ysidro to Point Loma via Otay Mesa, SDSU, Lake Jennings, Black Mtn, and the Torrey Pines/La Jolla coastline. 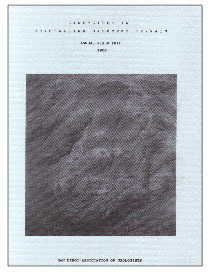 Papers address landslides, beach erosion and bluff retreat, feasibility of a water tunnel from the Imperial Valley, and a summary with brief descriptions of the geologic formations and units in western SD Co.
A concise historical summary of the three massive 20th c water projects for the burgeoning south and trip highlights including four new 21st c projects, three in the Inland Empire: Inland Feeder Tunnel (water transport), Seven Oaks Dam (flood control), MWD Diamond Valley Lake (6-mos emergency storage) plus Olivenhain Reservoir serving North SD Co.
Includes a mostly off-road, detailed self-guiding field trip through the southern (Carrizo and Vallecito/Fish Creek) and northern badlands of ABDSP, largest state park in the nation. Accompanying papers, maps, and photos explore a variety of earth science topics which provided the groundwork for the ABDSP Fossil Treasures project a decade later. 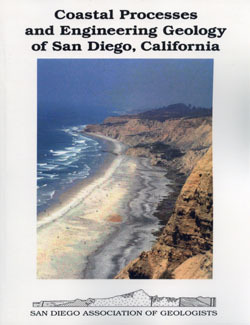 Topics include history, archaeology, vegetation, vertebrate zoology, and geology with three fold-out maps detailing the geology of each of the three islands which lie 15 miles south of Point Loma. 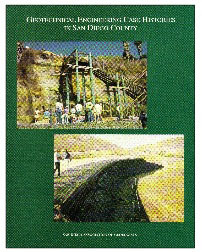 "Geologic Hazards in San Diego" field trip stops include Mission Valley, Mt. Soledad, Rose Canyon, Torrey Pines, La Jolla, Sunset Cliffs, and Point Loma. 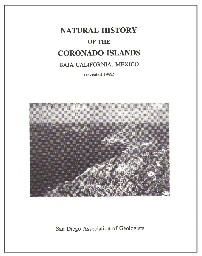 Classic and contemporary maps and technical papers discuss landslides, sea cliff erosion, and flood control in Mission Valley, seismicity of northern Baja and the San Diego region, and early man. While liquefaction, subsidence, and soil problems are major challenges for structural development, there are solutions and remedies as exemplified herein. 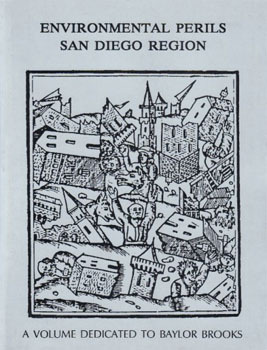 Contains "Proceedings" of the Seismic Risk workshop under the auspices of Southern California Earthquake Preparedness Project (SCEPP). 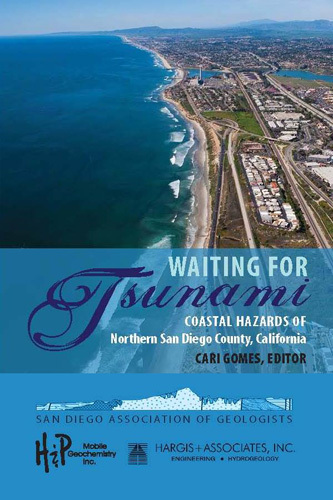 Papers address regional and local issues of seismology and faulting and include the field trip, chaired by Diane Murbach, "Fault Features between La Jolla, U.S.A., and Ensenada, Mexico". 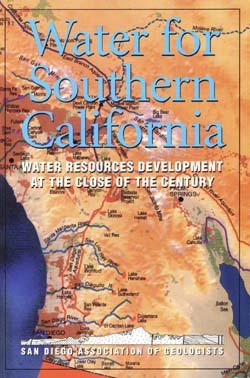 Describes field trips from SDSU to Ocotillo via Interstate 8, Hwy S-2 to Warner Springs, Hwy 76 to Pala, I-15 from Temecula to Welk Resort. 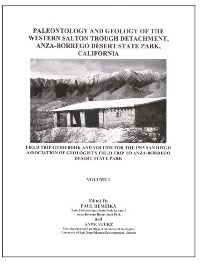 Topics include the Goat Canyon landslide in Anza-Borrego Desert State Park. Mailing charge is $4.00/book (unless picked up). Bookseller discount is 40%, resale number required.